Welcome on board! Captain Nathalie Bédouin and her crew welcome you to the historical region of Occitania. Take advantage of our location in the heart of the airport hub or fly to your dream destinations. All aboard the ibis Aéroport hotel! 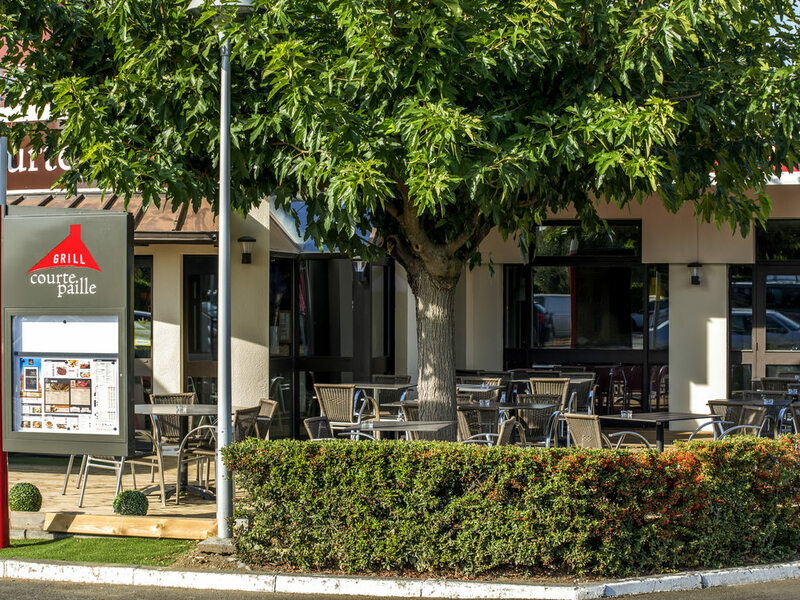 Hotel ibis Toulouse Aéroport is located at the hub of aeronautical activity in Toulouse and just 0.6 miles (1 km) from the airport. Book one of our renovated, air-conditioned rooms. Enjoy the Courtepaille restaurant open 7 days a week and bar open 24 hour s and stay connected via free fiber-optic internet. Use our hotel/airport shuttle service (charges apply). Enjoy a relaxing holiday from start to finish as the hotel offers packages including the shuttle and parking for your trips lasting a week or more. Very close to Airbus Industrie. Cultural and industrial tourist attractions. A taste of authenticity. Let yourself be tempted by our selection of delicious meats cooked to your taste on an open grill in front of you. Enjoy simple, tasty and varied food throughout the day. Unwind at the bar, discover our selection of local products or sip one of our homemade cocktails on the terrace. Snacks and refreshments available 24 hours a day.